We are offering custom lentivirus production services by employing our proprietary LentiMAX™ Lentivirus Packaging System. 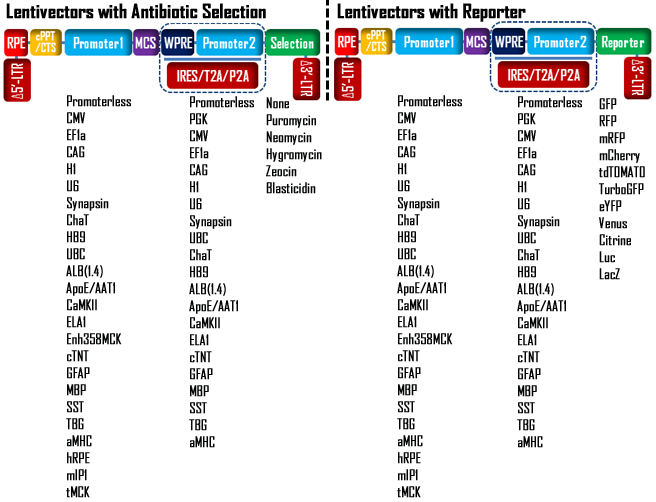 With our proprietary LentiMAX™ lentivirus packaging system, we are offering custom lentivirus production service in different scales to fit your different research needs. With the genetically engineered LentiMAX™ packaging cell line and a modified lentivector, the lentivirus yield is easy to reach super high level--------total 1E+11 TU. For super high level lentivirus production up to 1E+11 TU total , please contact us to request a quote. ** In vivo grade and OK for both in vitro tissue culture infection and in vivo injection.